Are you having trouble staying on top of all the minute details now that you’re engaged? There are lots of little details that come together throughout your engagement from finding the right vendors, to purchasing gifts, getting your dress fitted and making all the payments. It can be a little overwhelming! One way I help my clients stay on track is by making and managing their month to month calendars. 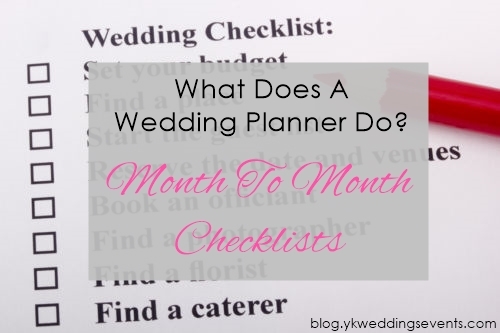 From the minute they are engaged, we outline every month until their big day. I add in everything a vendor might need from you: photo lists, payments, music choices, and more. I will add in when you need to book certain vendors, and little fine details you might not think about! I will even remind you to make payments, as well as keep you on top every task you should be completing every month. Then, we’ll check it off when it’s complete! You’ll never feel too overwhelmed or too burdened because everything is spaced out nicely, and we’ll be there every-step-of-the-way. Interested in working with me on this? Contact me.